TEENAGE triathlete Travis Bramley cannot wait for next season after finally coming through a tough, injury-hit 18 months. 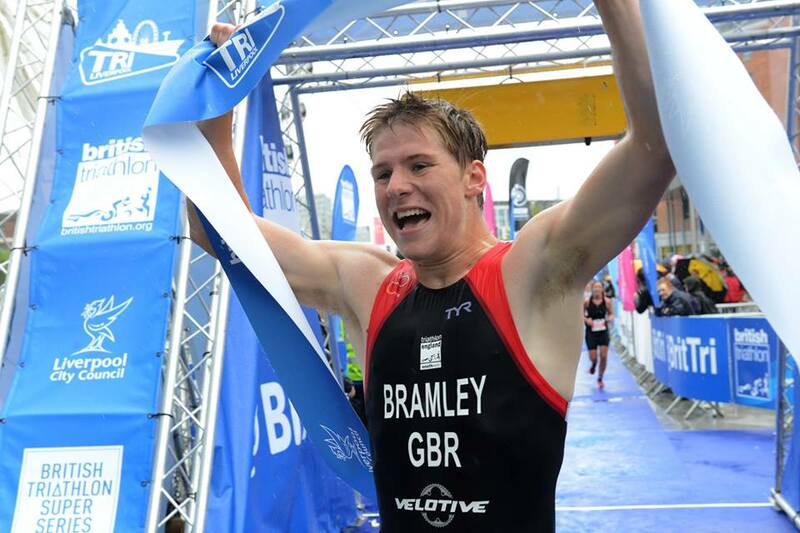 In 2015, Bramley was Britain’s best youth triathlete. He was totally dominant in the 15-16 year age category, winning, among other things, the British Triathlon Championships, the London Triathlon, the British Aquathlon Championships, the English Aquathlon Championships, the British Triathlon Festival and the British Super Series title. He always knew it would be difficult to move up to junior level (under-20), but he was not helped by a persistent back injury. He tried to struggle through it, but it later turned out he had damaged two facet joints and was forced to take time out completely. Bramley found it tough to recover and was not helped by studying for his A levels. 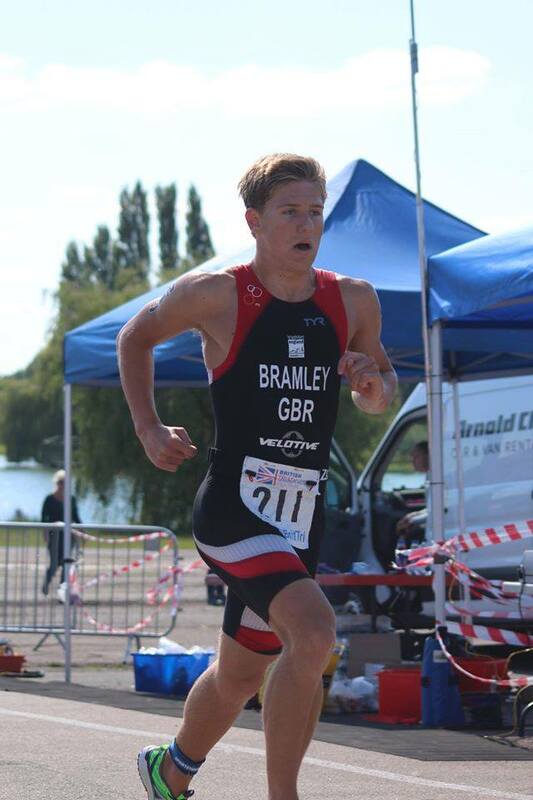 But having completed his exams and secured a place at the University of Leeds, Bramley showed his potential with a top 12 finish at last week’s British Under-20 Triathlon Festival at Mallory Park. He was ninth British athlete in that race and the fourth who will still be in the age group next year. The 18-year-old, who has just finished at Ivybridge Community College pupil, is now once again eyeing international honours. He is hoping a move to Leeds, where he will be training at a specialist elite triathlon centre alongside a host of internationals and Olympians, including medal winners Alistair and Jonny Brownlee, can take him to the next level. “It was just nice to finally get a good result under my belt before going to university and joining up with the Leeds Tri squad,” said Bramley about his performance at the recent British Under-20 Festival. “I should be able to build on it for next season and, hopefully, get a few more podiums and some international races as well. “I’m really looking forward to going to Leeds. Living down here in Plymouth you kind of have to manage everything yourself – you have to go to the swimming pool, a running club and that type of thing. “It will be really nice to go where it is all integrated and you are training with the same people each session. It will also be easier to fit it in around my studies. “Last year at Rio (Olympics) five of the six GB athletes were from Leeds. Alistair (Brownlee) is moving up to longer distances but should still be around. There are also a lot of up-and-coming athletes there. “Hopefully, I can have a good solid winter in Leeds. “Going into next season I will be a top year junior and so I want to be podiuming at British Super Series level. “I also want to see if I can get some international races, which is what I have been trying to do for the last few years. That would be great. Although it has been a tough couple of seasons for Bramley, he said he never lost heart. “There were some tough times,” he said. 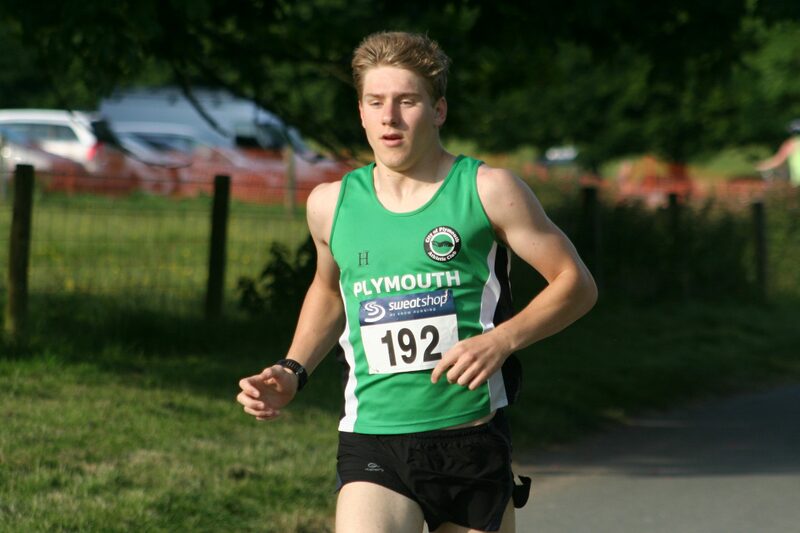 “But although I had quite a long stint out completely where I wasn’t racing or training I did my coaching level one with Plymouth Tri (Club). That really helped as I was staying involved with the sport. “It meant I was never completely out of the loop. I also set my sights on trying to get into Leeds University. “It was hard. However, I don’t think I ever contemplated stopping, it was more I just wanted to get back to it. “A couple of times I came back a bit soon. The hardest part for Bramley was coming down after such a high in 2015. “It was quite a come down from the 2015 season,” he said. “Last year I knew something was not right when I raced in Windsor. Although I came fifth, my body did not feel right. My back was giving off a few signs then. “And after that 2015 season I had quite a lot of expectations on my shoulders. I was placing it on myself. I was expecting to go up into the junior category and be punching out top five and top 10 placings with ease. “In hindsight, I should have just ended my season early rather than trying to keep competing and doing my As levels. “I raced the European Youth qualifies up in Durham and that was kind of the final straw really. I wasn’t able to run 2.5k at the back of it. “I had been trying for three years to get my GB tri suit and I should have won that event really because it was a youth and first year junior event. I was one of the oldest in the event. The results of the scan were not what Bramley wanted, but at least he knew what was wrong. He finally recovered from the back injury with a combination of rest, strength work and pilates. And he was happy with his recent performance at Mallory Park after previously suffering a calf injury on his comeback at the London Triathlon. “I was ninth Brit overall as there was three French lads ahead,” said Bramley. “And of those who are still going to be in that age group next year I was fourth Brit. “I was overjoyed. I knew my swim was good and my bike was good, but my running form was questionable. Although I’d done some sessions I had been struggling with a calf injury I sustained at London. “I think with London I came back after my exams and tried to hit it training hard. I tried to fit in too much training and the calf was an overuse injury more than anything else. “Although I would like to have had a better run (at Mallory Park), I was pleased overall. There was nothing I could have done to have improved the run. “After last year and the start of this one, people were starting to doubt whether I was going to come back. “That was what was quite nice about Mallory Park is people did not really expect me to be there. It kind of took the pressure off me. I knew what I was capable of, but it was just a case of proving it to everyone else. Bramley, who runs for City of Plymouth, had been hoping to end his season on yet another high on Sunday at the Perranporth Extreme Surf Triathlon. He had a great swim at the Cornish sea event, but unfortunately a puncture on the bike ride ended his hopes.